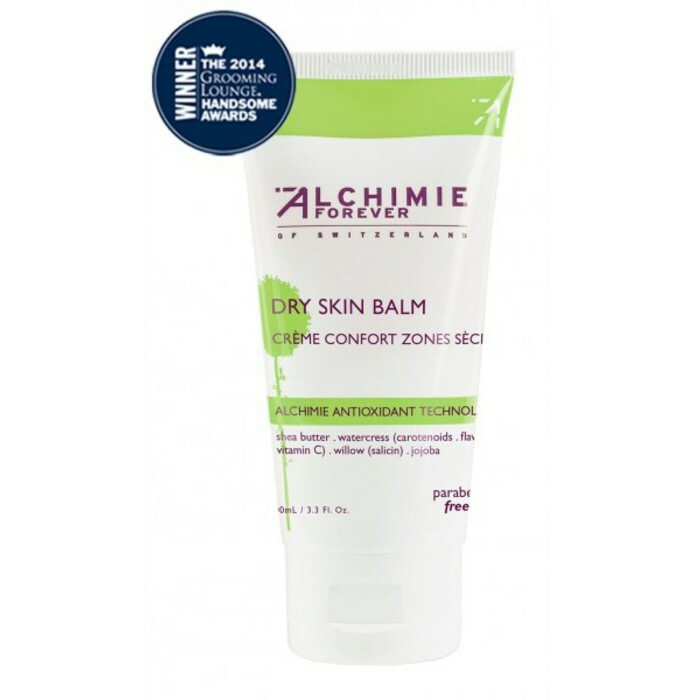 Alchimie Forever Dry Skin Balm 3.3 oz. Apply as often as desired to driest areas of the body, such as hands, feet, elbows, knees. Apply this moisturizer to dry areas as often as desired. Leaves a light, fresh scent on the skin. The finish is silky, smooth, with no sticky residue. Ideal for all skin types, including sensitive or sensitized skin. Particularly beneficial to alleviate swelling caused by pregnancy.